The best wedding reception party is the one that is memorable, fun-filled, caters to all your guests, runs smoothly with as little as possible interruptions, and that is enhanced somehow by an intangible energy or vibe. This vibe is created from the very first moment your guests arrive at the reception venue. From when they are greeted by a welcome drink, and it intensifies as they mingle, taste the menu that you have selected, listen the the background music, see the decor, touch things, and as they experience the entertainment you have chosen for the evening. But HOW is this magical element of energy, the "vibe" created? Read through the following 12 wedding music tips to help you get an idea of how your wedding reception will flow and to ensure that you and your guests have a celebration that will not be forgotten! 1. When it is time for the dancing to start make sure you have the lights dimmed. You will need some soft lighting during dinner to enhance the relaxed and comfortable atmosphere and you will need enough light during the speeches so that everyone will be able to read their notes. But when it is time for dancing, bright light can discourage people from dancing at your wedding reception party. If your venue does not have a dimmer on their lights and you are worried that it will be too dark then incorporate some fairy lights into your decor. You can then switch off all the house lights and have only the fairy lights and your table candles. 2. Choose your photographer wisely. Yes, you want beautiful photographs to view years later, but you don't want to be hounded by a photographer at your wedding reception party when you are supposed to be having fun and spending time with your family and friends. Choose a professional with the ability to capture your special moments unobtrusively. Those always make the best pictures. 3. When working out your seating floor plan, make sure you place your band or DJ right next to the dance floor. Avoid seating guests between your entertainer and the dance floor. Placing them right next to the dance floor allows for better control of the sound and crowd interaction. If at all possible don't have your dance floor and/or Dj in a room away from the rest of the reception. Access will be inconvenient for your guests and they will most probably not dance much. 4. Check with your venue on their loud music policy and avoid sharing a venue like a restaurant with other diners. Some venues (mostly in very populated urban areas) only allow loud music till a certain time usually till 11pm or 12am where after the music volume must drop. Sharing your venue with other diners might also generate requests to lower the volume. This is a surefire way to kill the energy and vibe of your party that even the best wedding reception music will not remedy. 5. 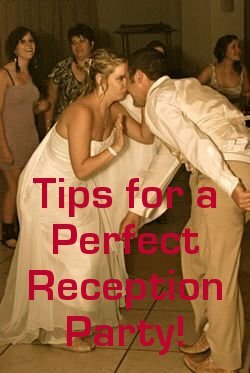 When interviewing bands and DJ's make sure to ask if they have a reception planning form. This should include events like the grand entrance, your toasts, your special dances, favorite wedding reception music, and the garter and bouquet toss. All of the music for these events need to be prepared before the wedding and they need to be carefully coordinated on the night. All professional wedding entertainers should have such a form with wedding reception music suggestions to help you plan and to give them a better idea of what you prefer. If they do not, find one that does. 6. Spend some time planning your wedding reception grand entrance. This sets the tone and establishes the vibe you are trying to create. Discuss your ideas with your band leader or DJ and your wedding planner to get an effect that reflects the energy you want to create as well as your style and personality. If you are entering with your entire wedding party then decide who will assemble where and in what order, if they will be formally introduced by your MC, and if so, that their names are pronounced correctly. And last, but not least, select the perfect wedding reception entrance music. 7. Make sure your MC takes the mic again after your grand entrance to go through the house rules (smoking policy, bar policy, amenities etc) and to make a formal welcome. If your guests have had some finger foods or canapes during the cocktail hour, then launch straight into your formal speeches or toasts. You now have their full attention and they will not be this attentive and focused during any other time of the night. Let your wedding planner or catering director know when you are planning the toasts so that they can pour champagne for your guests. 8. Don't wait too long to do your first dance. This is a special moment during your wedding reception party and signals to your guests that they are free to dance the night away. It is best to do this straight after dinner. If you are having a buffet dessert, you can even do this before the dessert buffet is open. If you tally too long before having the first dance to visit all your guests you will deflate the energy of your reception. Click here for some tips on having the perfect First Dance. 9. Provide your band or DJ with your important songs (entrance, first dance, cake cutting, garter & bouquet etc. 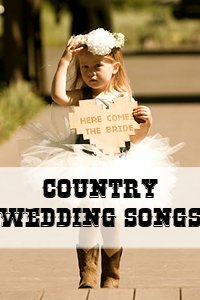 ), a list of a few of your favorite artist, music styles and songs, as well as a list of music to avoid a few weeks prior to the wedding. Don't try to select every song your DJ or band will play. A professional wedding reception party entertainer do weddings very often and will be able to "read the crowd". They will know what to play and when to play it to keep the energy high. They will also know which requests will clear the dance floor. You are paying them for their knowledge and experience. Take full advantage of it. Dance Floor Props Create Vibe! 10. You can also consider using wedding reception party props to motivate your guests to enjoy themselves. Many entertainers have inflatable guitars and trumpets and fun hats and accessories to encourage the fun to happen. Another idea is to have a photo booth in the one corner of the dance floor. Leave some wigs, funny hats and glasses and let your guests entertain themselves with taking photos, or have your photographer do it for you. 11. Meet with your band or DJ in the week before the wedding to discuss how you would like to run the evening. Ask for their advice on your decisions and any areas where you are unsure. Professionals do weddings on a regular basis and will be able to help you make the best decision to make your wedding reception party a hit. 12. Don't rule out older music. Even if it is not something you would listen to at home, keep in mind that your wedding reception guest list will include people of all ages. Seeing your grandparents boogie it down on the dance floor creates great memories and priceless photos. 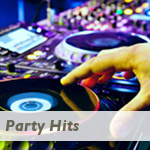 A good band or DJ will be able to help you with choosing the best wedding reception party music to energize a crowd of all ages. 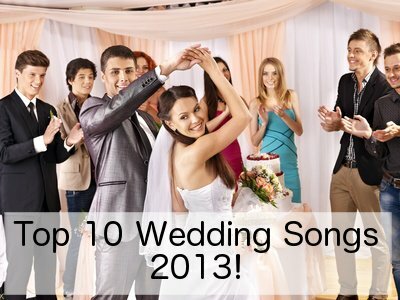 Now choose your Wedding Reception Party Playlist!